Delicious, nutritious, and sure to be a kid favorite! Makes 4 servings. ½ pita pocket per serving. 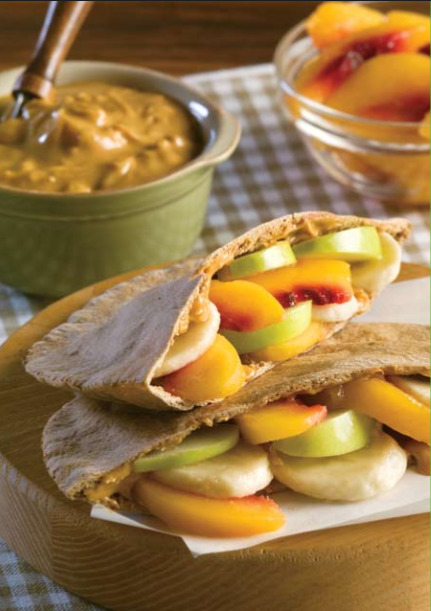 Cut pitas in half to make 4 pockets and warm in the microwave for about 10 seconds to make them more flexible. Fill with a combination of apple, banana, and peach slices. Serve at room temperature.